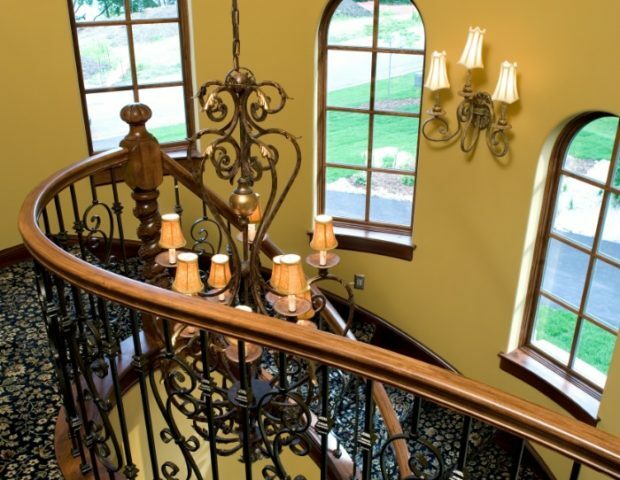 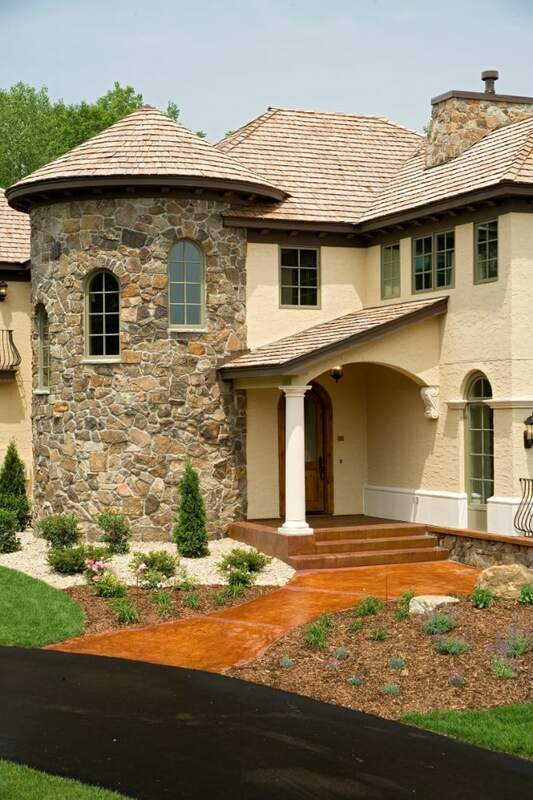 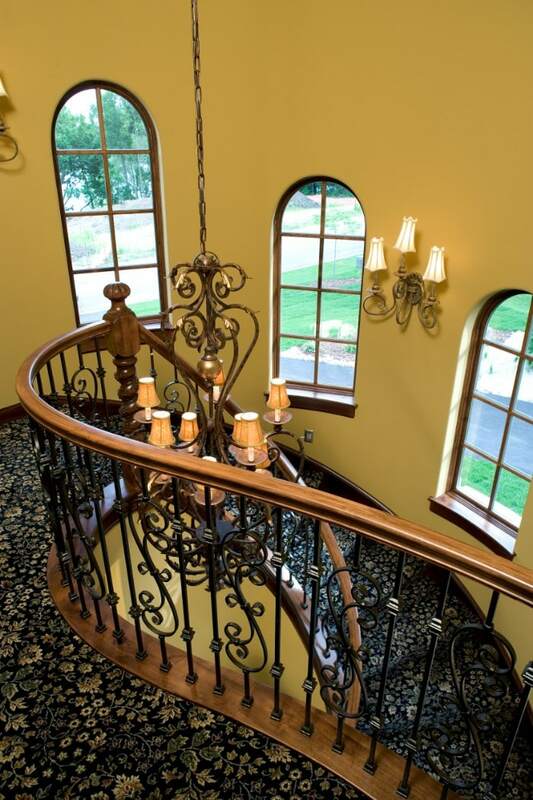 Tuscan regional design is all the rage, and this home carries the theme with a mottled-color stucco exterior, clean exterior lines and windows, heavy timber-look cornice detailing, and the circular stone stair column. 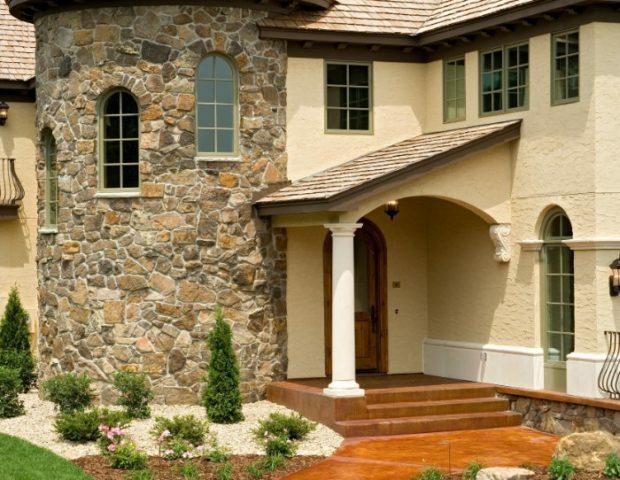 The interiors mimic the look of heavy masonry walls with “punched-in” windows and incorporate thick walls, rounded corner beads, and drywall return into window. 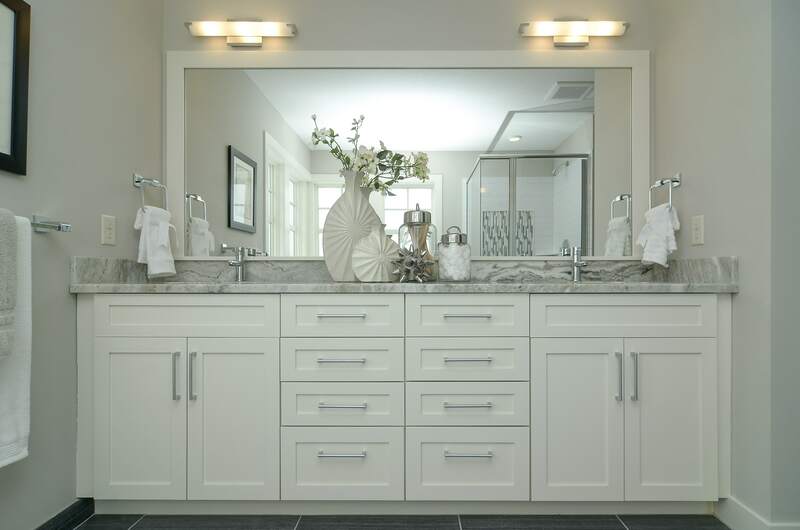 The knotty alder millwork is stained dark to nicely accent the painted and glazed kitchen cabinetry.